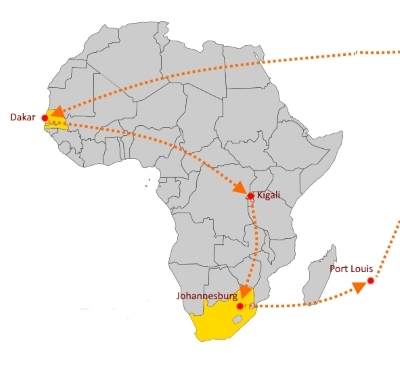 Since its inception, the BRI has integrated the African continent, with new connections with the East African coasts. Today, after President Xi Jinping’s African tour, the entire continent will join the new Silk Roads. His first stop was Senegal. Xi Jinping met with President Macky Sall. The two heads of state concluded several agreements, including a memorandum of understanding on the “Belt and Road Initiative”, so Senegal joined the new Silk Roads. During his stay, Xi Jinping visited several facilities financed through Chinese cooperation, including the future Museum of Black Civilizations. China is very active in the construction of new infrastructure in Senegal, but Dakar hopes to attract even more Chinese investors including small and medium-sized companies from various sectors in its new industrial parks like Diamniadio. One of the objectives is to replicate the success of Ethiopia, which is now experiencing economic growth partly due to Chinese investment in the textile industry. Till now, Chinese companies have mostly invested in English-speaking and Portuguese-speaking countries when setting up in Africa. Senegal hopes to become the new bridgehead of Chinese investment in French-speaking Africa. The second leg of this African tour was Kigali, the capital of Rwanda. President Paul Kagame has also engaged his country on the new Silk Roads with the signing of a commitment agreement in the BRI. Rwanda is a major destination for Chinese investment in Africa. Its stability, its attractive tax regime for foreign companies have enabled Rwanda to become a hub for logistics and services for Chinese companies in Africa. In February 2018, China and Rwanda signed a $ 32 million cooperation agreement, including the extension of a technical institute and some borehole drilling projects. During President Xi Jinping’s visit, further agreements were signed notably in air transportation and e-commerce. In South Africa, the third state visited during his African tour, Xi Jinping attended the BRICS summit, and defended free trade. He previously spoke with South African President Cyril Ramaphosa and stated that China would increase imports from South Africa. New agreements were also signed between the two countries. On his way back, President Xi Jinping made a stop over in Mauritius, the last destination of his African tour, where he met with Prime Minister Pravind Jugnautaut. China has invested heavily in Mauritius especially in services; Chinese companies are stakeholders of the island’s main smart city: Jinfei Economic, Trade & Cooperation Zone. The two states signed in December 2017 a memorandum of understanding on the opening of negotiations for a possible free trade agreement, the first one between China and an African state. Many Chinese companies are already active in Mauritius; Port Louis also hopes to attract more tourists from China. Africa is experiencing strong economic and urban growth. 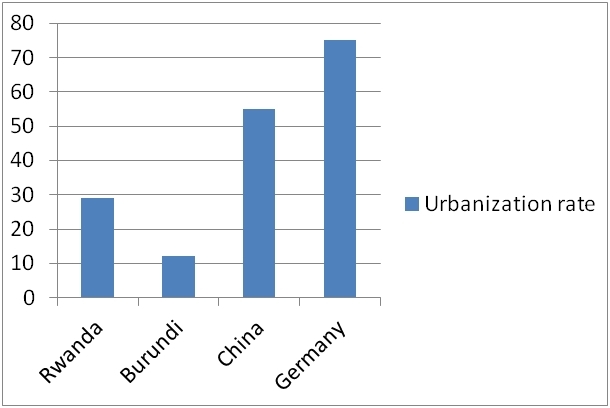 Africa is the continent where urbanization is the strongest. In 2017, Rwanda recorded an urban growth rate of 5.6%! Moreover, many African states are only at the beginning of their urbanization process. To cope with poor housing and environmental problems related to urbanization, Africa urgently needs infrastructure in transport, energy, and resource management. China’s willingness to participate in the construction of infrastructure is highly appreciated by African states. In the past, China also had to deal with rapid urbanization. China’s solutions for sustainable urbanization will be of interest to African cities. China has become for some years one of the main trading partners of African countries, it is the second trading partner of Senegal (France ranks first), and the first one of Rwanda. 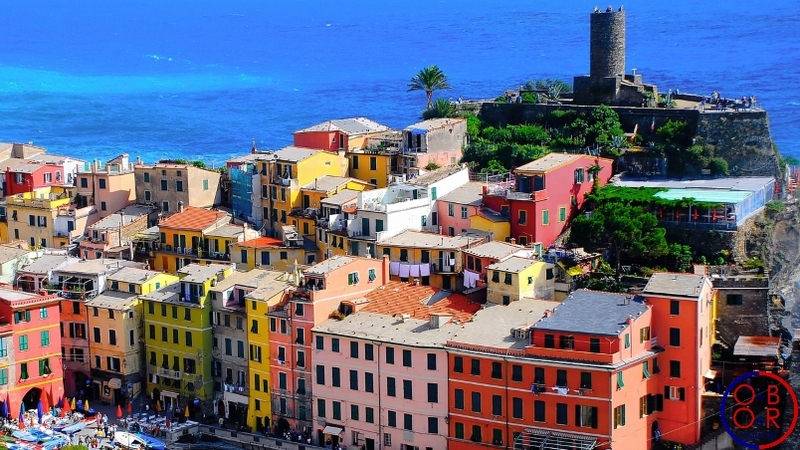 How can European investors take into account this new reality? The Chinese presence in Africa is often perceived as a threat for European companies. Beijing’s rising power will undoubtedly strengthen the influence of Chinese companies on the continent, but these projects will also create new opportunities for Europeans. First, the development of the “Belt and Road Initiative” on African Atlantic coasts may boost trade with European ports. The reduction of tariff and non-tariff barriers (one of the BRI’s objectives) associated with the development of inter-regional transport in Africa may enable the emergence of a less fragmented African market to which Chinese and European companies will have easier access. Besides, new businesses and the development of new infrastructure in Africa will create new opportunities for young Africans, and this could have an impact on illegal emigration to Europe. Beyond the formal agreements with China, the African continent will have to overcome several obstacles to truly integrate the new Silk Roads. The first challenge is that of security, particularly in the Sahel states. The fight against Islamic terrorism must continue to be a priority for the African states and China. Several infrastructure projects have been delayed because of terrorist threats. This is the case, in particular, of the Dakar-Bamako railway line that was to be built by “China Railway Construction”, but terrorist risk (5 Chinese employees were killed in the Timbuktu region in Mali in December 2017), drove Dakar and Beijing to review this project that would eventually stop at the border between Senegal and Mali. China has committed to funding the G5 force to secure the Sahel region; but for new regional infrastructure to emerge, Beijing will have to become even more active in securing areas threatened by terrorism. The second main challenge regards inter-regional cooperation in Africa; railway lines connecting the Atlantic Ocean to the Indian Ocean will can only be launched if cooperation is stronger among African states. African states will have to think about unifying their markets and reducing their inter-regional competition. In September 2018, the China-Africa Forum will be held in Beijing. African states will have to present a cooperation project that includes all of Africa to truly integrate the BRI. Share the post "Africa, a continent linked to the new Silk Roads"